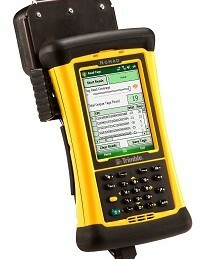 Trimble announced a new ultra-high frequency (UHF) RFID reader accessory for its Nomad outdoor rugged handheld computer. The Trimble ThingMagic Reader supports reading and writing of EPC Global Gen2 tags which are commonly used for asset and inventory management. 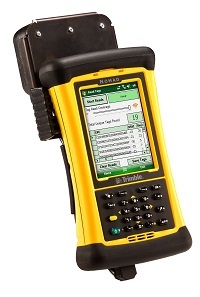 Based on MIL-STD-810Fand IP67 ratings for industrial, outdoor and rugged service requirements, the RFID reader and mounting kit lets users easily add UHF RFID capability to Trimble’s popular Nomad rugged handheld computer. The embedded ThingMagic M5e-Compact RFID reader delivers tag read rate up to 190 tags/second and read distance up to 70 inches depending on tag sensitivity and reader orientation. The UHF RFID Reader accessory is designed to withstand drops, vibration, humidity, extreme temperatures and immersion, making it ideal for challenging environments. The reader accessory comes with drivers and software needed to immediately start reading EPC Gen2 tags, as well as a full software development kit (SDK) to allow developers to write their own custom applications in Windows Mobile.